The senior trip was planned and executed to bring to life years of study of sacred text, Jewish history and contemporary Israel life; to walk and hike Israel’s thrilling and diverse habitats and topography; to have the great honor of performing missvot in the Land; and to feel first-hand the privilege and the responsibility that, as emerging adults, the seniors will assume as they graduate and become leaders of the Jewish community.As the students of YPHS well know, good learning takes place in all settings. Most typically, YPHS students learn in individualized classrooms of approximately 8 students per class, receiving services on site and studying their Judaic classes in English. In a unique partnership with with Yeshivah of Flatbush High School, YPHS students attend several courses on the YoF campus. Yeshivah Prep students partake in trips and extracurricular activities with Yeshivah of Flatbush as well. On both campuses, YPHS students are surrounded by exemplary faculty and staff who model the values of our community and dedicate themselves to excellence in education. The tailoring of curriculum to learning style provided by the YPHS administration and faculty creates fertile ground in which YPHS students can seek their highest. The seniors who took part in the Israel trip received NYS Regents diplomas upon graduation and will be pursuing post-high school learning in the year ahead. 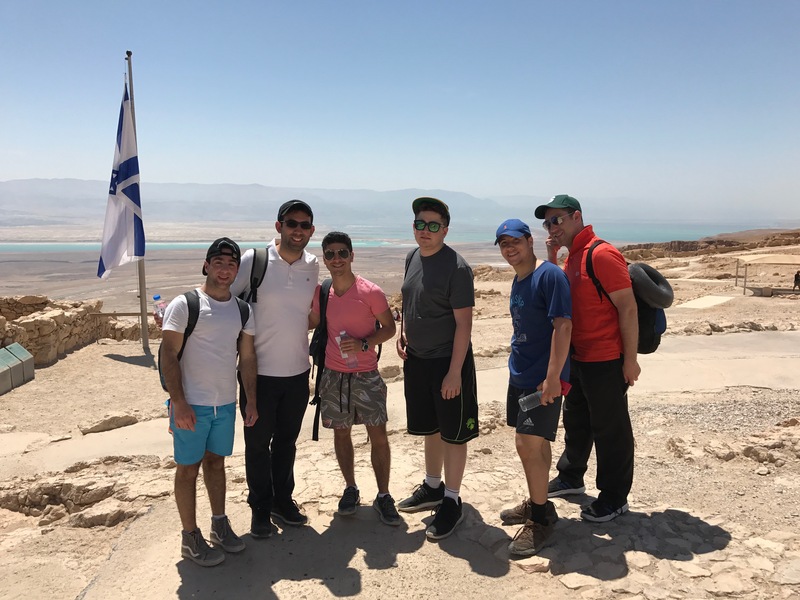 From praying at the Kotel and exploring the Kotel Tunnels, to hiking Massada, to standing on Har Carmel with Tanakh in hand, the YPHS seniors walked in the footsteps of our Biblical ancestors and gained new perspectives on our sacred texts and singular history. Camel rides at Eress Bereshit, kayaking, jeeping in the desert, zip-lining and floating in the Dead Sea brought adventure and excitement. Visits to Yad Vashem, the home of Israel President Rivlin, and a weapons training session at a counterterrorism training ground brought solemnity and contemporary reality into focus. A tour of Israel’s Hi-Tech sector in Tel Aviv and a fascinating lecture on startup companies added an optimistic and entrepreneurial context. Donating food and treats to the IDF soldiers at Pina Hama was among the most treasured experiences and gave the YPHS students an opportunity to meet first-hand with their contemporaries and to thank them for their service. As part of the Israel Advocacy program at YPHS, Rabbi Setton accompanied three committed and eager YPHS students from across the grades to a two-day trip to the March AIPAC conference in Washington, D.C. There they joined with 19,000 other individuals from all different countries and walks of life to support Israel. They were privileged to sit in the VIP booth to hear Senate Democratic Leader Sen. Charles Schumer, U.S. Permanent Representative to the United Nations Nikki Haley, and U.S. Speaker of the House Rep. Paul Ryan, and to receive a private tour of the West Wing of the White House. This school year YPHS instituted a new dedicated Israel advocacy curriculum for Juniors and Seniors. The program, which is sponsored in partnership with JerusalemU and AVI CHAI, is designed to reinforce the centrality of Israel to the Jewish people, to foster a strong attachment to and support for the State of Israel and to equip students with knowledge and facts that will enable them to advocate successfully and counter the misinformation so prevalent on college campuses and in the media today. This year’s senior trip to is in the works now. When this second group of seniors arrives in the Holy Land, they very well may be visiting some of last year’s students; while they were busy blazing trails, they were also looking ahead to the possibilities of continuing their post-high school education in Israel.